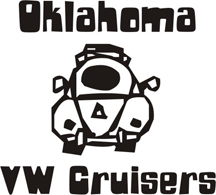 Oklahoma Vw Cruisers • Bryan in purcell selling out? Bryan in purcell selling out? Or he buy an extra big shipment lol. Last edited by Bobs68VW on Tue Sep 23, 2014 6:53 pm, edited 1 time in total. Re: Bryan in purcell selling out? you seem to say that alot. ditch, internet explorer. Last edited by Bobs68VW on Tue Sep 23, 2014 6:54 pm, edited 1 time in total. vdubjim wrote: you seem to say that alot. ditch, internet explorer. Who in the hell uses IE....I use Google Chrome...Doesn't begin to die like Mozilla Firefox does every few months. It's a bad link in the way one has to get to the site of the sale...If I just click on it like a "GOOD LINK" it would have opened the Ebay sale from the tab I had opened...As it is, I had to paste the link in another Tab for it to work.